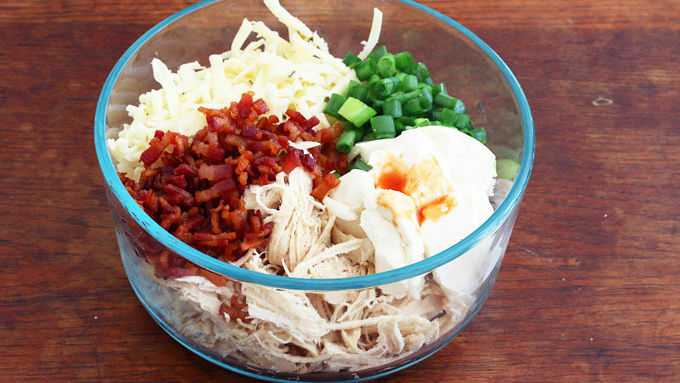 Combine all the ingredients (except for the sauce ingredients) in a bowl. Use your hands to mix well. Lay out the crescent rolls on a non-stick surface according to the package directions. 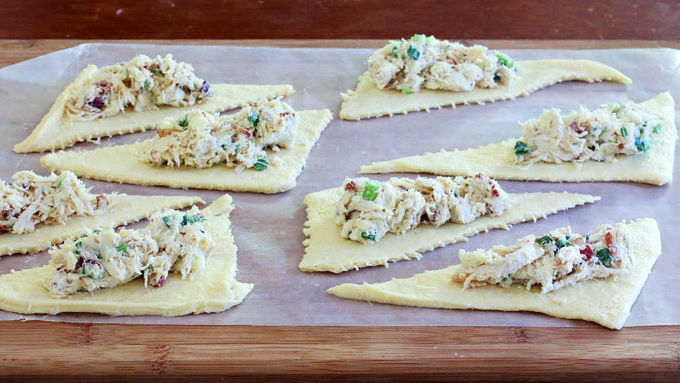 Put about 2 heaping tablespoons of the mixture on each triangle and then roll them up, starting with the wide end. 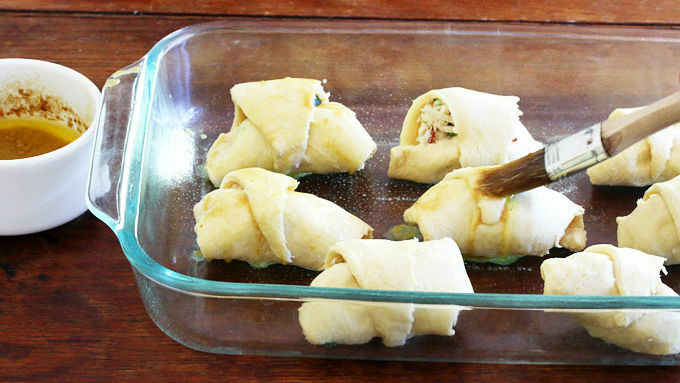 Place the stuffed crescent rolls in a baking dish and generously baste with the sauce. Bake for 11-14 minutes or until the crescent rolls are golden brown. Halfway through baking, sprinkle with more bacon bits and some sliced green onions if desired. Serve immediately. 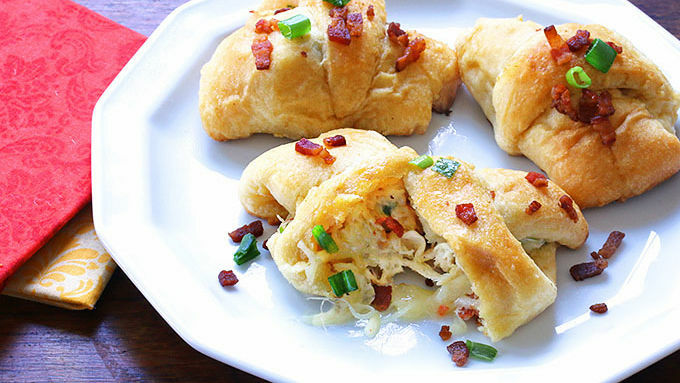 These hot cheesy rollups are easy to make for game day – or any day. You can never have too many finger food ideas, and you'll definitely want to add these to your entertaining repertoire. Great for parties, game day or any day, you'll love these delicious rollups that are so quick and easy to put together! Let me tell you a little more about them. 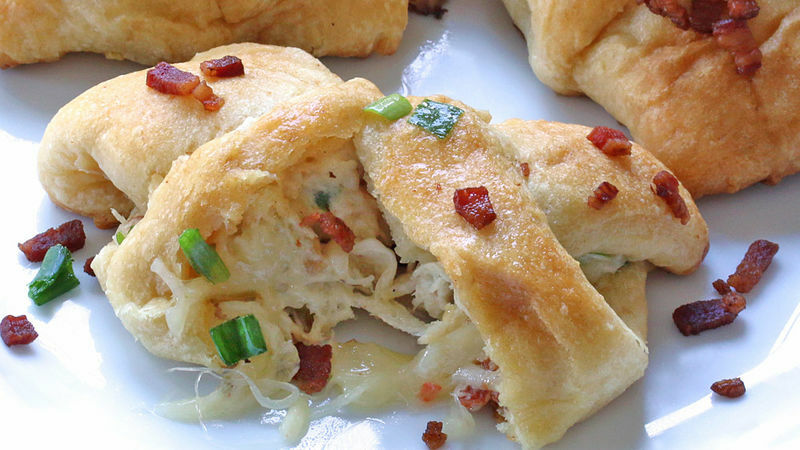 These flaky crescent rolls are stuffed with shredded chicken, savory bacon, kickin' hot sauce, cream cheese, green onions and oozing pepper jack cheese. But that's not all. 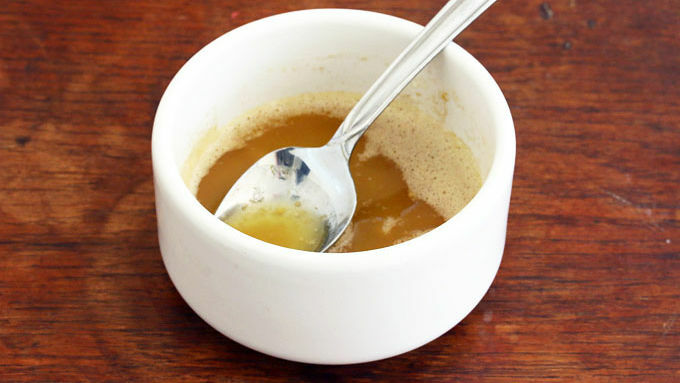 They're also slathered and infused with a butter-Worcestershire-mustard sauce. Sound good? Then what are y'all waiting for? ENJOY!